The ambulance service praised Worthing residents for rescuing a woman and baby from a car after it flipped over. The ambulance service was called at 10.20am to St Lawrence Avenue, Worthing, where a car had turned onto its side. 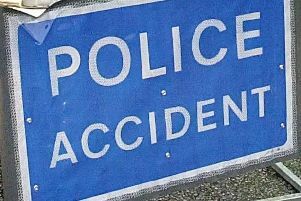 According to Sussex Police, a woman and child were in the car when it collided with a parked vehicle. An eyewitness said the he and other onlookers helped to get the woman and child out of the vehicle. The driver was treated for cuts and bruises, and the baby was thought to be uninjured, an ambulance service spokesman said. The woman and child were taken to hospital to be checked over, according to Sussex Police. An ambulance spokesman praised the efforts of the bystanders. He said: "We would like to say thank you to anyone that assisted the woman and baby prior to our arrival. It is always gratefully received." West Sussex Fire and Rescue Service also attended the scene, and firefighters righted the vehicle.